An experienced tutor and teacher whose students were renowned for winning poetry competitions, I have led courses and workshops for many organisations including the Arvon Foundation, the Poetry Society, the British Council, Poetry School, universities and schools in the UK and abroad. The workshops are stimulating, accessible and challenging. The demands of writing and drafting poems, where every word counts, improves students’ writing and confidence in all areas, including writing in examinations. The focus is creative writing, particularly (but not exclusively) poetry. Workshops involve responding to a range of contemporary poetry and therefore increase confidence not only in writing but also in the close reading of poetry and other literature. During the workshops, students may experiment with various aspects of writing, including point of view, tense, imagery, drafting and structure. Workshops also provide opportunities for speaking and listening. A typical school visit might consist of two or three workshops. The ideal group size is fifteen students, though I often work with groups of normal class size. For more information, including an argument for the importance of writing poems in the classroom, see my Introduction to Jumpstart Poetry in the Secondary School. CPD courses demonstrate how to get young people writing poems and thereby improve their writing in all genres, and how writing poems can improve students’ appreciation and understanding of poetry. For primary schools I devise workshops and schemes of work to fit into ongoing themes and lead sessions for teachers on writing poetry in different subjects. I have led courses and workshops for experienced writers and for those new to writing, sessions on creative writing in higher education for undergraduates and postgraduates including lectures on poetics and poetry, and sessions for PGCE students (primary and secondary) on reading and writing poetry in the classroom. After teaching English in three Cheshire comprehensives schools, I was Deputy Head and English teacher at Maharishi School in Skelmersdale, where my students were renowned for winning creative writing competitions, including the Foyle Young Poets of the Year Awards, WH Smith Young Writers, the Roald Dahl Foundation Poetry Competition, and Young Poets on the Underground. 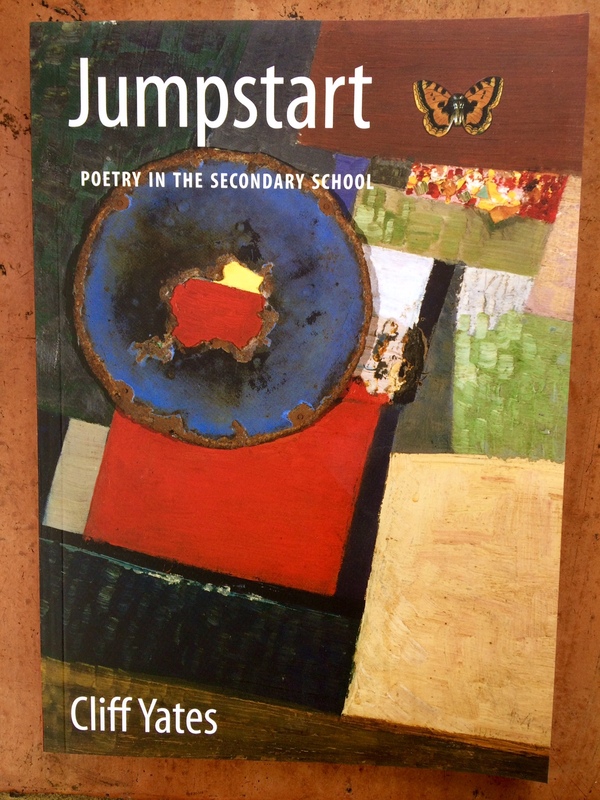 As a result, I was commissioned to write Jumpstart Poetry in the Secondary School by the Poetry Society during my time as Poetry Society poet-in-residence. I’ve broadcast on teaching poetry on BBC Radio 4 and the BBC World Service, and my teaching has been the subject of feature articles in the Guardian and the Times Educational Supplement. I have led courses and workshops for the Arvon Foundation, the Poetry Society, the British Council, Poetry School, National Writing Centre for Wales, Scotland’s Creative Writing Centre, universities and schools in the UK and abroad. I have taught creative writing in higher education and worked extensively with teachers and student teachers. A former TES Guest Poet, I’ve published widely on teaching creative writing in the TES and other journals, and have contributed to books on teaching poetry, most recently Making Poetry Happen: Transforming the Poetry Classroom (Bloomsbury, 2015). I played a leading part in Poetry Society educational initiatives and have spoken on the teaching of writing at conferences, including UKLA, Writing Together, NAWE and NATE. “Three years ago, every member of Years 10 and 11 [at Maharishi School] won or was runner-up in a national poetry competition” – Stuart Maconie, Pies and Prejudice: In Search of the North (Erbury Press, Random House, 2008). “Cliff Yates is an absolutely remarkable workshop leader and teacher of poetry whose own pupils have consistently won prizes in poetry competitions for young people. His book ‘Jumpstart’ is essential reading for teachers wanting to use poetry to inspire and amaze – and his own poetry is wonderful too. Cliff is one of the best in the country working as a writer in schools. Highly experienced as a teacher, he can inspire staff as well as pupils through workshops which get to the heart of what writing is all about. I recommend him for work with almost any age, from primary to adults” – Chris Meade, Director of if:book & former Director of the Poetry Society. “Jumpstart’ is the best aid to the teaching of poetry since Sandy Brownjohn’s work of the 1980s” – Gordon Wilson in The Teacher. “The work that Cliff Yates has done for poetry with children, and for children with poetry, is exceptional and heartening. He is at once expert and inspiring – always proving how necessary it is to recognise that ‘creating’ is a vital part of ‘educating’” – Andrew Motion. “In this country, Cliff Yates is the foremost teacher of poetry in secondary education. Whether he is working with teachers or students, Cliff’s teaching unlocks the poet that all of us possess – even if we never knew it. I cannot imagine a secondary department not wanting a visit from Cliff” – Pie Corbett. “most unusual is the confidence with which (Cliff Yates) delivers the lesson and the enthusiasm with which the children receive it. Their ideas are wildly different, and they have the confidence not to ask, as so many children do, “Is that okay?” They shape their poems in unique ways and work together, comparing, criticising and encouraging, with startling maturity” – Kate Clanchy, ‘Transcendental Dedication’ in The Times Educational Supplement. “What do I owe [Cliff Yates]? He gave me the confidence to write about the things that are important and personal to me. He opened up those channels and freed my imagination, really. But strangely enough, I also learned about entertaining people and stagecraft from him. We play serious music but we put it across with a spirit of fun and enthusiasm, which is exactly what he did in the classroom. He could take a joke, and he never took himself too seriously. But God, he was passionate when it came to poetry” – Joe Broughton (former student of Cliff at Upton-by-Chester County High School), ‘My Best Teacher’ in The Times Educational Supplement. “Cliff Yates is a regular and welcome visitor to Malbank School. He brings with him his unbounded enthusiasm for poetry and his conviction that all students have something to say and the ability to write it down. His own quirky and cleverly crafted poems always go down well with his audiences no matter what age and he has a battery of tricks and strategies to make a poet out of anyone – even the teachers!” – Lee Wilkinson, English teacher and Head of Performing Arts, Malbank School and Sixth Form College. “Many poets do workshops with young people but it is Cliff’s background as a teacher and his warm humanity that has made him a success with our pupils. His poetry is also very inspiring. The pupils seem to really feel good that they have not been written off by outsiders. This has been a huge boost to their confidence” – Sian Beckwith, Russet House PRU, Gloucester. ‘Cliff was an annual visitor to our PGCE Secondary English course, and it’s hard to encapsulate in a few lines the numerous benefits that our trainee English teachers (and their pupils) gained from his visits. He involved trainees in a stimulating and creative approach to poetry reading and writing, and he became a real favourite with trainees, who invariably highlighted his session as amongst their favourites, in end of year course evaluations. We asked Cliff to deliver his session early in the trainees’ course, so that we could emphasise the crucial part played by creative, active approaches in English teaching and learning. Many trainees used his ideas on placement, with real impact on pupils’ engagement and development’ – Carol Evans, Course Leader, PGCE Secondary English, Edge Hill University. ‘The International School of Bern spent an inspirational three days with Cliff Yates. Cliff’s teaching experience and love of poetry really came to the fore. All the high school students were transformed into poets. Cliff encouraged everyone to put pen to paper giving students, from the shyest to the most flamboyant, confidence in their creativity. Cliff’s workshops are so inclusive, teachers were amazed by the poetry their students produced given the prompts and support Cliff provided. I don’t hesitate to recommend Cliff. He was also really easy to host!’ – Jill Van Niekerk, International School of Bern, Switzerland. “Cliff Yates offered a terrific session to my undergraduate and postgraduate students of poetry. Engaging, thought-provoking and very funny, Cliff entertained us with a selection of poetry from across his career before answering questions about his life, work and influences. My students were energised and inspired by his visit and we hope to invite him back!” – Dr Scott Thurston, Senior Lecturer in English and Creative Writing, University of Salford.